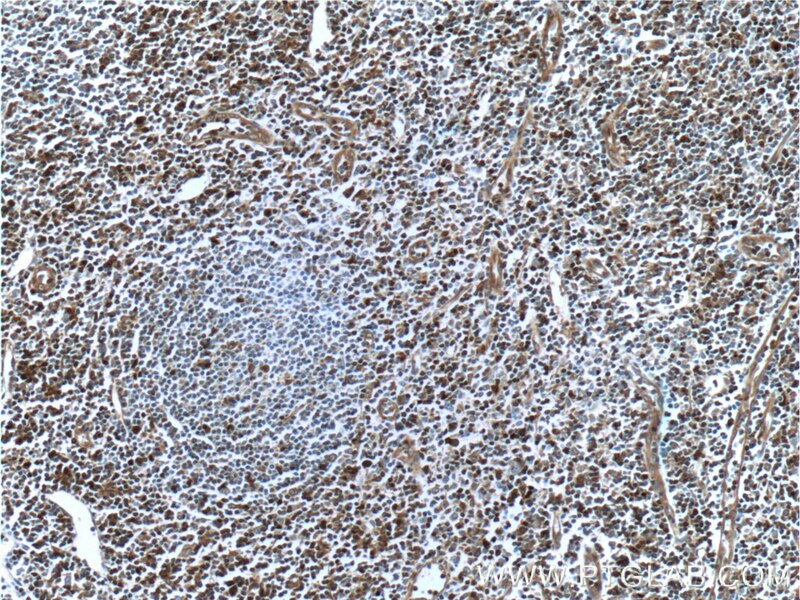 Immunohistochemical analysis of paraffin-embedded human spleen tissue slide using 11854-1-AP (GBP2 antibody) at dilution of 1:200 (under 10x lens). 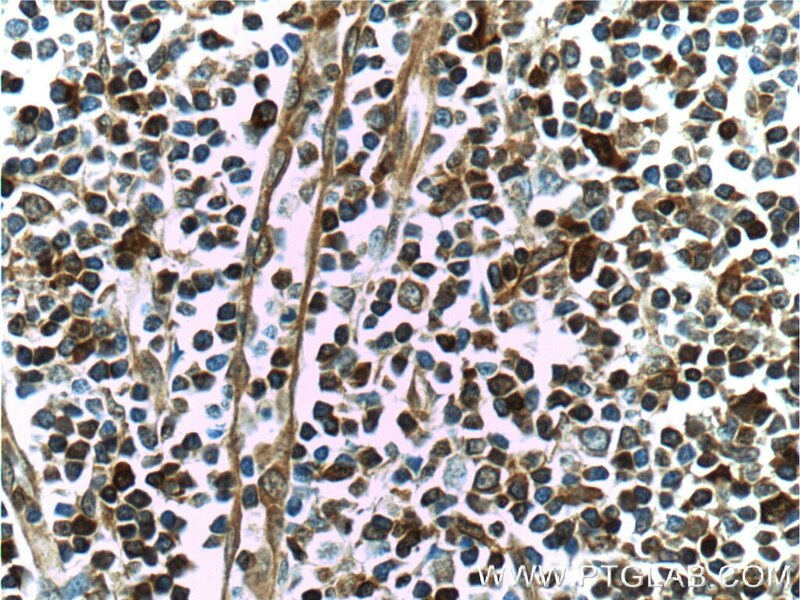 Immunohistochemical analysis of paraffin-embedded human spleen tissue slide using 11854-1-AP (GBP2 antibody) at dilution of 1:200 (under 40x lens). 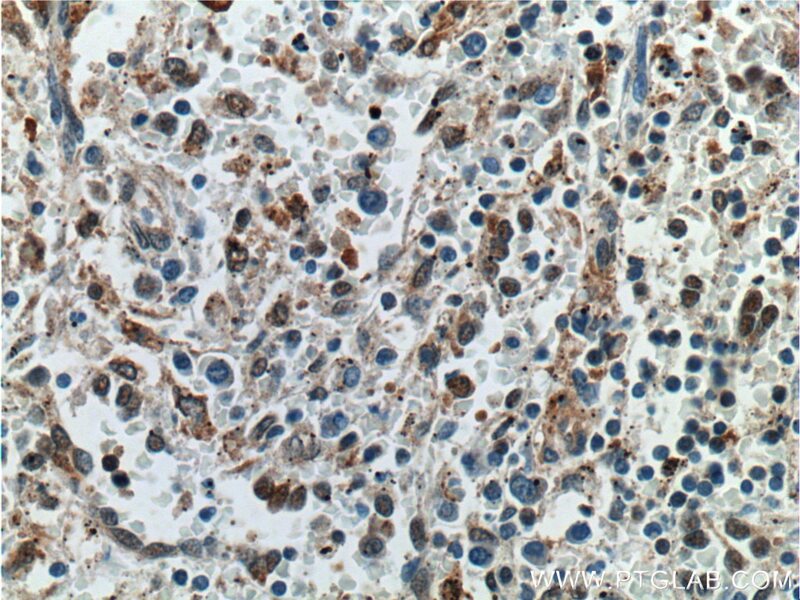 Caspase-11 activation requires lysis of pathogen-containing vacuoles by IFN-induced GTPases. The transcription factor IRF1 and guanylate-binding proteins target activation of the AIM2 inflammasome by Francisella infection. 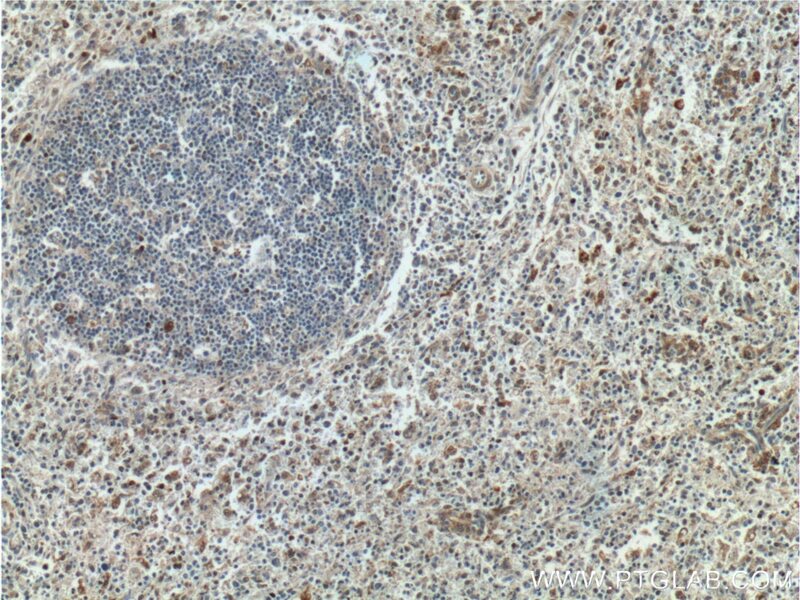 RabGDIα is a negative regulator of interferon-γ-inducible GTPase-dependent cell-autonomous immunity to Toxoplasma gondii. IRGB10 Liberates Bacterial Ligands for Sensing by the AIM2 and Caspase-11-NLRP3 Inflammasomes. IFN-γ extends the immune functions of Guanylate Binding Proteins to inflammasome-independent antibacterial activities during Francisella novicida infection. Brucella abortus Triggers a cGAS-Independent STING Pathway To Induce Host Protection That Involves Guanylate-Binding Proteins and Inflammasome Activation.